Healthy cucumbers, peppers, lettuce and Swiss chard in SIP. Cucumber beetle is a common name given to members of two genera of beetles. The adult beetles are found on the leaves and flowers of cucurbits; which are plant species of the melon, cucumber and squash varieties. 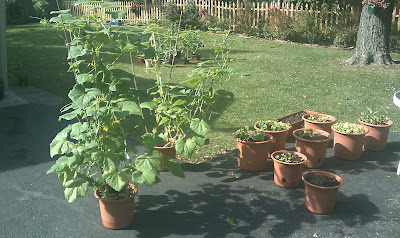 Plants Attacked: Cucumber, cantaloupe, winter squash, pumpkin, gourd, summer squash, and watermelon, as well as many other species of cucurbits. Cucumber beetles may also feed on beans, corn, peanuts, potatoes, and other crops. 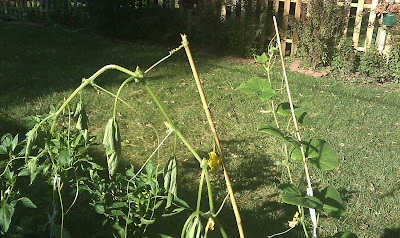 The two most common pests in this family are the striped cucumber beetle and spotted cucumber beetle, which looks very much like a green ladybug. However, unlike the ladybug, cucumber beetles are considered harmful insects. 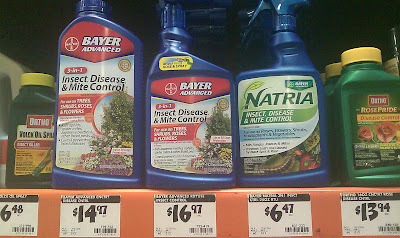 They are sucking invaders which harm crops and ornamental plants. 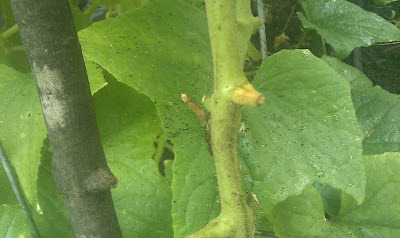 Adult beetles attack the tender young growth of stems and leaves, and the buds and petals on mature specimens. 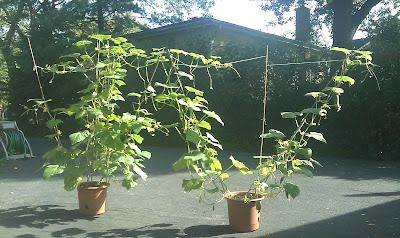 They also carry and spread the bacterial wilt organism, Erwinia tracheiphila and the cucumber mosaic virus. 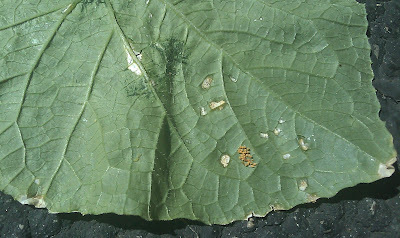 Eggs are laid in clusters on the underside of leaves, and hatch into yellowish larvae 1⁄2 inches (13 mm) long. The larvae then commence to feed on plant roots by tunneling into the ground. In some areas, the larvae is called the "corn rootworm". Cucumber beetles can attack and overwinter in corn and bean fields; in some areas they may hide out in compost or trash piles. 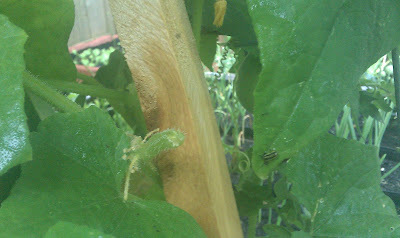 - manual removal - regularly inspect your plant leaves (especially underneath) for the cucumber beetle eggs. They are small, round, and orange to reddish. 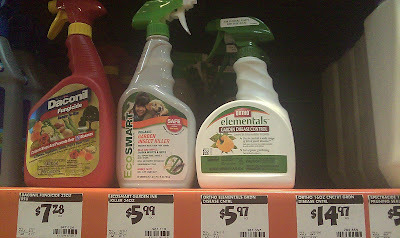 Removing the eggs will help﻿ control the beetle population.